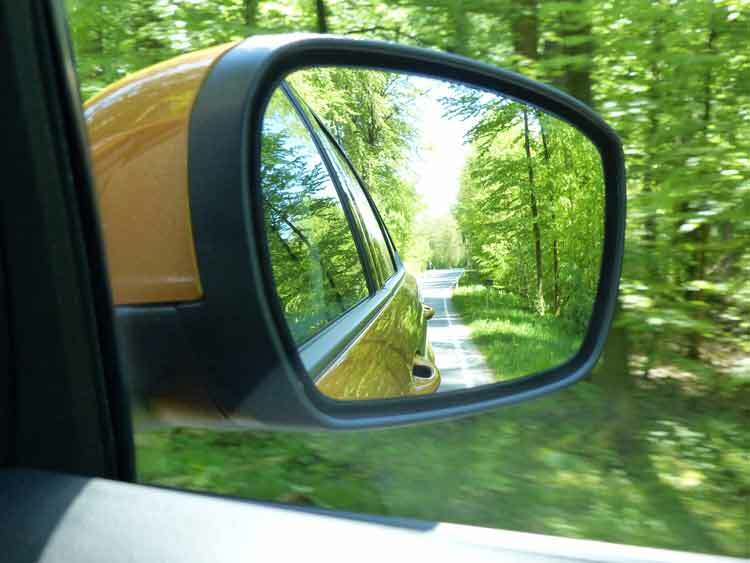 The SUV market is still growing and is a booming market for car manufacturers. In 2015 the market share of SUV in Europe was a whopping 23%, this makes it the largest segment of the overall car market. Ford in Europe entered the European SUV / Crossover market with the Ford Kuga in 2008 which is now in its 2nd generation. The 2nd and smaller model in the European SUV line up was presented in 2013 when the 2nd Generation Ecosport went global after the 1st generation did well in South America. Ford is now introducing a third model in the European line up with the large Ford Edge which is produced in its Canadian factory. 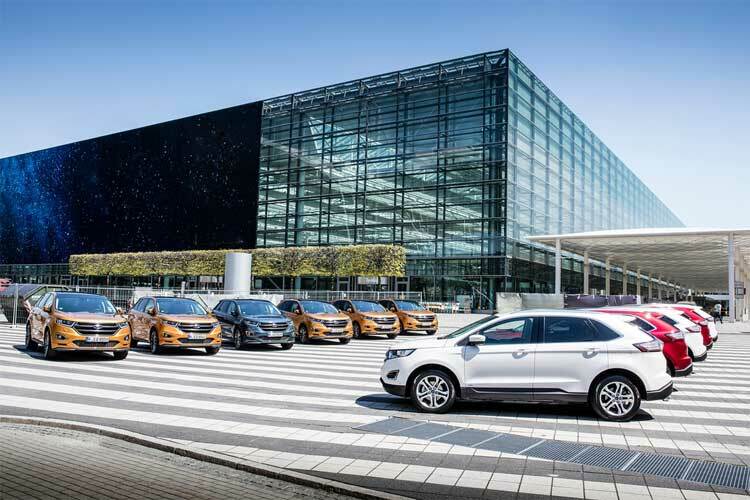 MenStyleFashion was invited for a 2-day press trip in Munich to experience the Ford Edge for ourselves, the largest and most luxurious car in Ford’s SUV lineup. Upon arrival at Munich Airport we were presented with a choice of 2 different models to test drive and we started of with the Ford Edge Sport and the 6 speed automatic version with 210 HP diesel engine. Plenty of Ford Edge cars waiting outside Munich airport. Upon starting the engine and setting off I realised straight away how quiet this car was, I didn’t not know at the time that the Edge was kitted out with active noise cancellation, but it worked wonders. 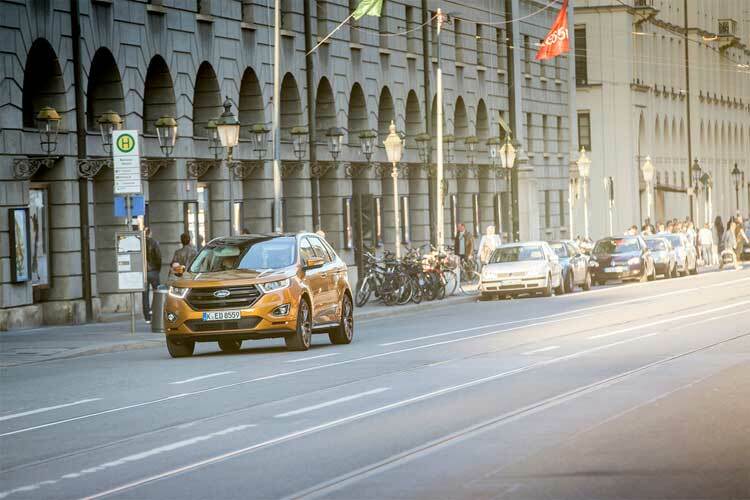 The staff of Ford Europe had carefully selected a music playlist for further enjoyment on the road trip ahead. With fantastic sunny weather the first thing I did was open the sunroof and turned on the seat cooling feature, my favourite feature of the whole car. 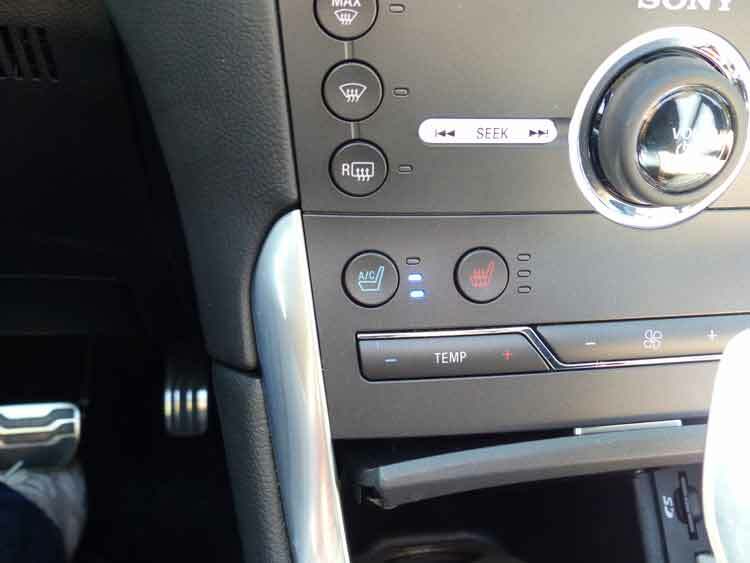 The Edge is fitted with both seat warmers, back and front and seat coolers on the front seats. The first part of the road trip took me on a small bit of autobahn (unfortunately with a speed limit) and then it went mainly through some beautiful Bavarian country side. Near the speed dial I was constantly reminded via a visual sign what the maximum speed limit was of the road I was driving on. I was not sure who was going to pick up the speeding fine so I tried to stay within the limits. This speed warning feature works by a front camera looking for road speed signs and displaying the information near the speed dial. This is a brilliant feature if you forget what the last speed limit said. Ford calls this feature the traffic sign recognition. Just before our presentation stop we were presented with a light off-road track to test the off-road capabilities of this all wheel drive SUV. I switched the display on the dashboard to show me the power distribution between the wheels as I navigated the humps and mud tracks. 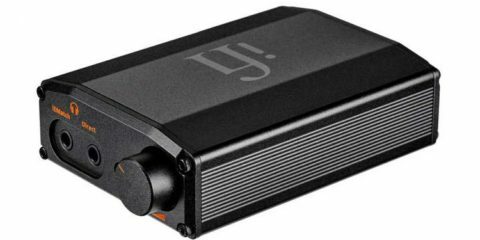 The Edge is fitted out with multiple sensors to work out the optimal power distribution. The display looked impressive but I doubt many people will not use it. The Ford Edge is perfect for some light off-roading. At the car presentation I was presented with a cut open car to get a closer look at some of the details. 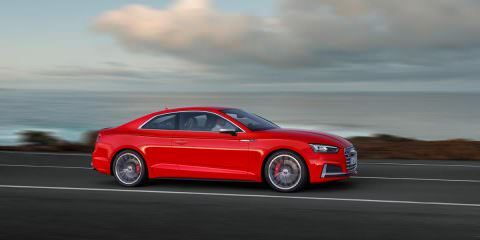 Via interactive presentations, I learned about the noise cancellation keeping this car extremely quiet and also many of the additional features as lane control, blind spot warning, active steering, traffic sign recognition etc. It is an impressive list. The next part of the press trip was driving to the centre of Munich and playing with the features I had just learned about during the presentation. I was impressed with the level of features and safety features that come with the Ford Edge. This is a large car 4.8 meters long and it will compete with the likes of the Volvo XC60 and Audi Q5. To win market share from these premium brands a lot of features will come standard with the Edge. The Edge is a comfortable 5 seater and will not come in a 7 seat version as the sloping roof line does not make this very practical. I liked the sloping look at he back of the car and the edgy angles, it gives the Edge a masculine look and makes the Ford SUV line more interesting compared to the more bland looking Kuga. After arrival in Munich all the Ford staff and journalists headed down to the centre of town for an exclusive private event. We were given a 30 minute private concert by artist Kelvin Jones, whom also featured on our playlist during the road trip which made it all feel very connected. I recorded three of his tracks at the event which you see on our Youtube Channel. Food and drinks at the Kuffler Restaurant and Bar kept us busy the rest of the night. The next morning started early with breakfast at 7 AM as we were heading for a road trip to Tegernsee, a lake situated South of Munich. This time I drove the 180 HP manual Ford Edge Titanium without the sunroof. After leaving Munich I had a stretch of Autobahn with no speed limits and took the Edge comfortably to 170 kmph. 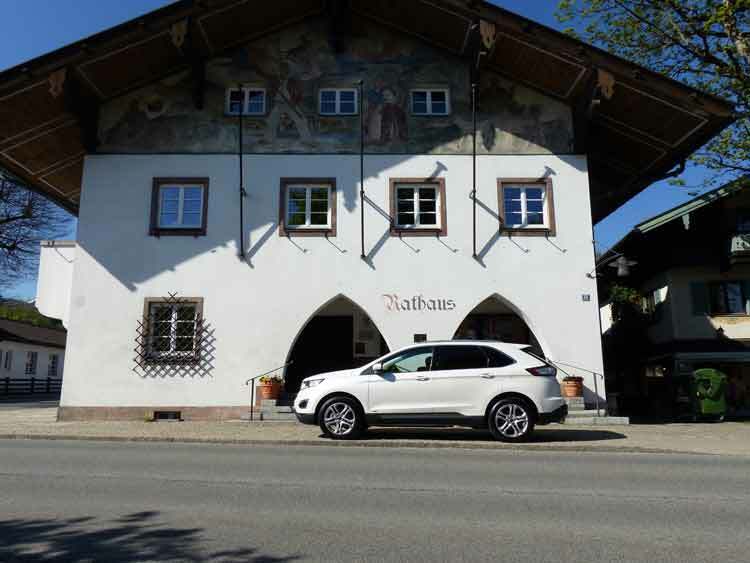 After that it was roads through beautiful historic Bavarian villages with the white snow capped Alps as the backdrop. I realised how lucky the people are that live in this region. After 1 hour we reached the shores of the Tegernsee and drove up to 1200 meters for a coffee break and to get some amazing views of the lake. 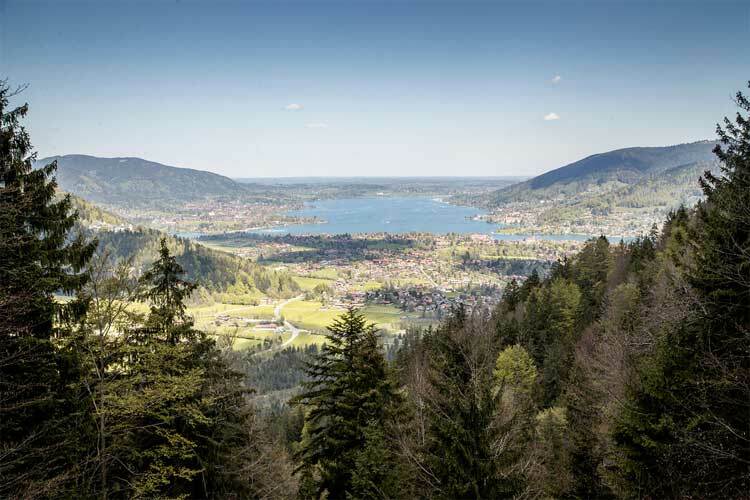 The Beautiful Tegernsee – a great scenic drive. With this amazing view we tried some local Apfelstrudel before setting off to the last part of the press trip. I managed to quickly swap cars again and go for the sun roofed auto version of the Edge again. When we hit the roads again I realised that whole Bavaria had woken up and was heading to the Tegernsee to eat some Apfelstrudel. Luckily we were driving in the opposite direction. 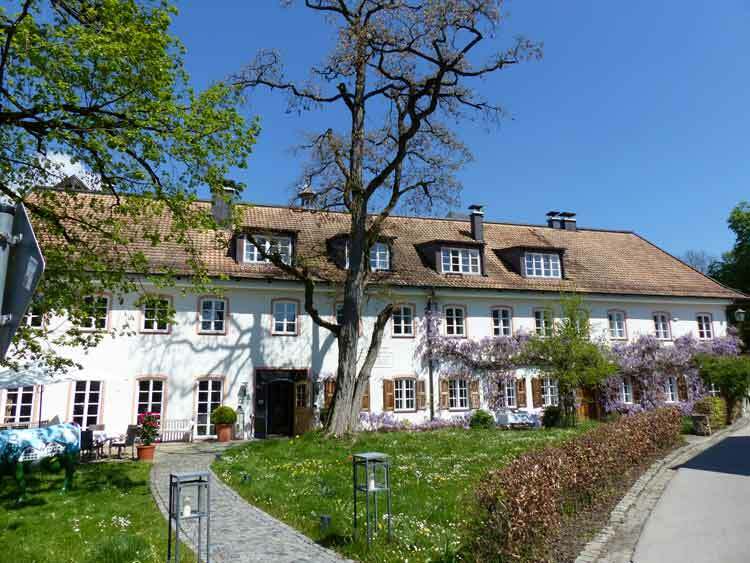 We were heading for our final stop the famous Ayinger Brauerei, a private beer brewery with restaurant and hotel. The setting was absolutely beautiful and the staff were wearing traditional lederhosen. I was told that Philipp Lahm, the captain of the German football team, chose this place for his wedding. We were presented with a three course beer menu and three courses of food all prepared with local Ayinger beers. After this we had to leave the Ford Edge behind and we were driven to the airport. The Ayinger Restaurant and Hotel. The Ford Edge is the largest SUV in Ford’s European lineup and it is also the most edgy looking SUV from Ford. It is a car I would like to be seen in, it is a big, masculine looking car with lots of comforts and features as standard. 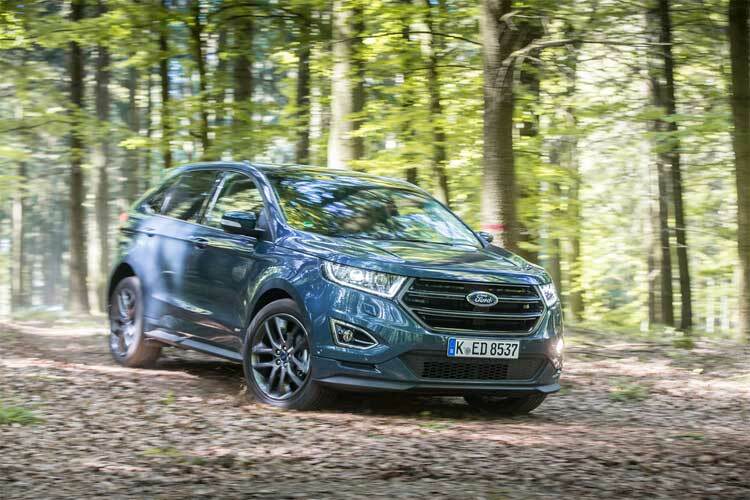 The Ford Edge Zetec starts at £29,995 and a fully kitted Sport model with automatic transmission sets you back £41,370. This makes it very competitive compared to more premium brands like the Audi Q5 or the Volvo XC60. What might be limiting is that there is only a limited choice of engines. How did it drive? The drive was super comfortable which allowed me to enjoy the beautiful scenery Bavaria had on offer.